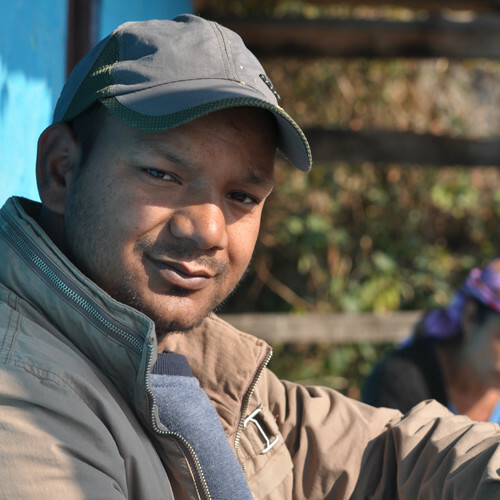 Bhumidev Thakur - Independent Trekking Guide. RECOMMEND Me Now. Bhumidev has trekked with client from Israel and America. Other than the treks listed on sherpafeet, he has taken clients for the Darcha to Lamayuru trek since 2010, Parang La (Kibber to Tso Moriri) trek since 2012 and Phirtse La trek. He has been taking clients for Pin Parvati trek since 2006. "We have to pay attention to it and it depends on the guide. We have to save the nature." if they can, why can't we?" "As a kid, once two Israeli clients had come. They refused me - the moment they saw me - as I was small. cook and learnt to cook. I started enjoying this and took up cooking. I then went to a treks as a cook. this, the company asked me to become guide. This is how I became a guide."